Mage Company is now taking late pledges for their 12 Realms: Dungeonland game. If you missed out on the Kickstarter, but want to still get the benefits of it, now's your chance. The game is for 1-4 players, as you head your way through a dungeon (seems appropriate). Take on the mantle of famous characters from folklore and look for adventure and loot. 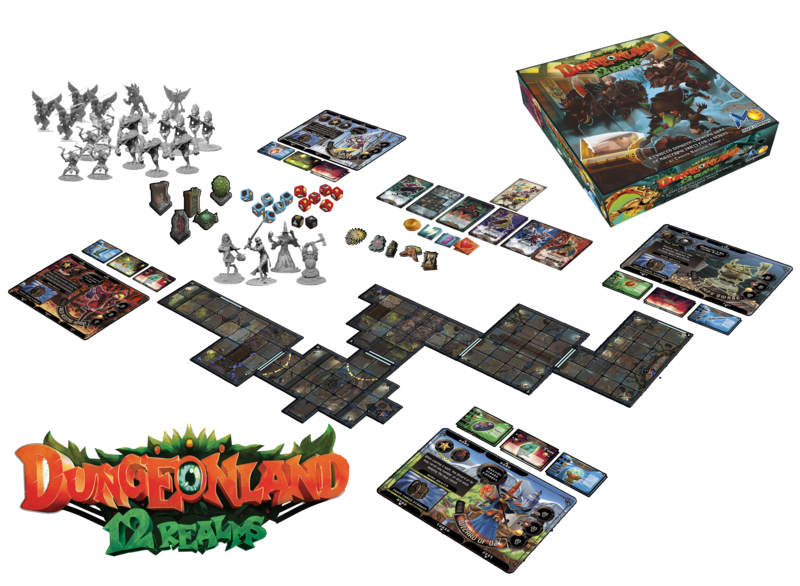 12 Realms: Dungeonland is a dungeon crawling game for 1-4 heroes. Players take on the roles of famous folklore characters, like Red Riding Hood and Prince Charming, each with unique abilities. They venture across famous tales to stop great villains that have been turned by dark magic, changing the tale's endings and casting the realms into eternal darkness. Our heroes will travel through many tales to gather clues about the source of this mysterious evil. They will fight for their lives using a unique combat system that features a set of custom dice.